After coming under fire for issuing Computerised National Identity Cards (CNICs) to famed Afghan woman Sharbat Bibi and two men who are said to be her sons, the National Database and Registration Authority (Nadra) on Wednesday suspended four officials stationed at its Hayatabad office, a source in the agency said. The suspended officials include three males and a female, the source said, adding that an inquiry committee has also been formed to investigate the matter. The suspended persons played an active role in issuing the CNICs to the said persons. The official said Nadra also blocked the CNICs of Sharbat Bibi and the two men who are said to be her sons. However, Nadra high-ups refused to comment on the matter. Sources at Nadra’s Hayatabad office had earlier told Dawn that high-ups in the Nadra issued three CNICs on a single day last year to the 46-year-old Sharbat Bibi, wife of Rehmat Gul, and her two sons Rauf Khan and Wali Khan in violation of rules and regulations. In 1984, Sharbat moved to Peshawar along with her two sons and since then, she has been residing in the Nasir Bagh camp established for Afghan refugees. Earlier reports had said that Sharbat has three daughters. This is in contrast with the information on the Nadra form, which maintains that she has two sons. "They may not be her sons but this is a common practice among Afghan refugees whereby they list names of non-relatives as their children to obtain documents," a Nadra source had said. 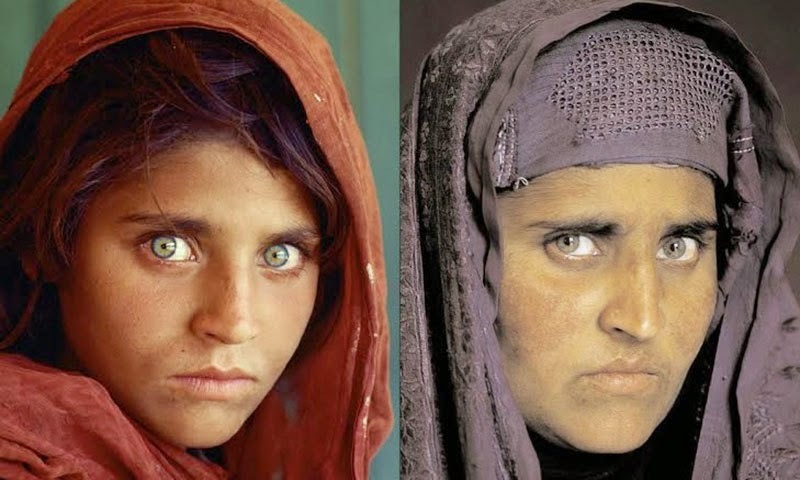 In her CNIC form filed on April 17, 2014, the ‘Afghan Girl’ listed herself to have been born in Peshawar on Jan 1, 1969, residing at Talab Road, Nauthia Qadeem, Mohallah Mast Gul, Peshawar.